The nation’s most seductive coffee brand adds new Whole bean Instant to its range - In February 2012 Carte Noire introduced something special for coffee lovers - the first Whole bean Instant to its range, to make those precious me-time moments even more indulgent. New Carte Noire Instinct is a Whole bean Instant coffee, meaning all the qualities of finely milled roasted coffee beans have been captured and combined with Carte Noire’s finest instant coffee to create a deliciously silky and deeply aromatic cup of coffee that will seduce your palate with every sip. You simply add one to two spoonfuls to your cup, mix with hot water just off the boil, then sit back, enjoy a me-time moment and be seduced by the distinctive taste of Carte Noire Instinct. 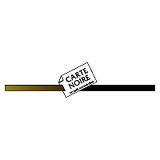 Carte Noire is a premium coffee with a French heritage; made from a delicious blend of 100% Arabica beans to create a rich, velvety and aromatic coffee. This is the first major product launch for the brand since it came to the UK in 1996. 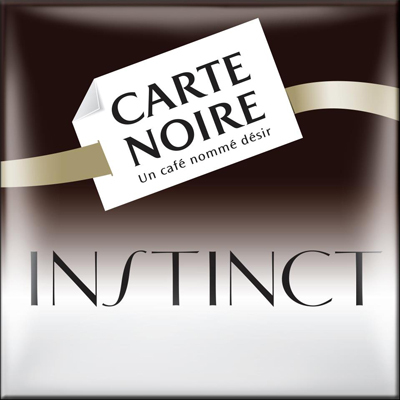 Available in all major supermarkets, the Carte Noire range includes Instant, Roast and Ground, Cappuccino, TASSIMO and now NEW Carte Noire Instinct. 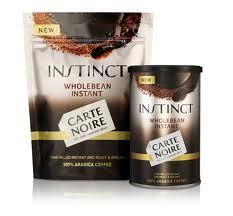 Carte Noire INSTINCT is available as a 100g tin (RRP £4.99) and an 80g refill pack (RRP £3.49). Disclosure: I was sent a sample of this Carte Noire Instinct Coffee for the purpose of this review but the opinions expressed are genuine and un biased by this. I bought it by mistake thinking it was the normal carte noire, yuck its grose and leaves a strong mess in the bottom of the cup ! !